The Clarisonic is a hand held re-chargable exfoliating device. With all of the Youtube and blog reviews out there it seems like everyone and their mothers have tried this out (and most have seemed to love it!). I will go ahead and say now that I have been using this little baby for over 6 months and I have to mention that I really do love it. There are a few different types of the Clarisonic out there including the; original Clarisonic Mia; which is the one speed cleansing device. After you press the button it turns itself on for about 60 seconds; in this time you are supposed to cleanse your forehead for 20 seconds, then nose and chin area for another 20 seconds and then you move onto your cheeks which you cleanse for 10 seconds each. The Clarisonic Mia 2; the difference with this one is that it is a two speed cleansing device and also has a pulsing timer. This means that it will give a little pulse to let you know when it is time to move on to a different part of your face. 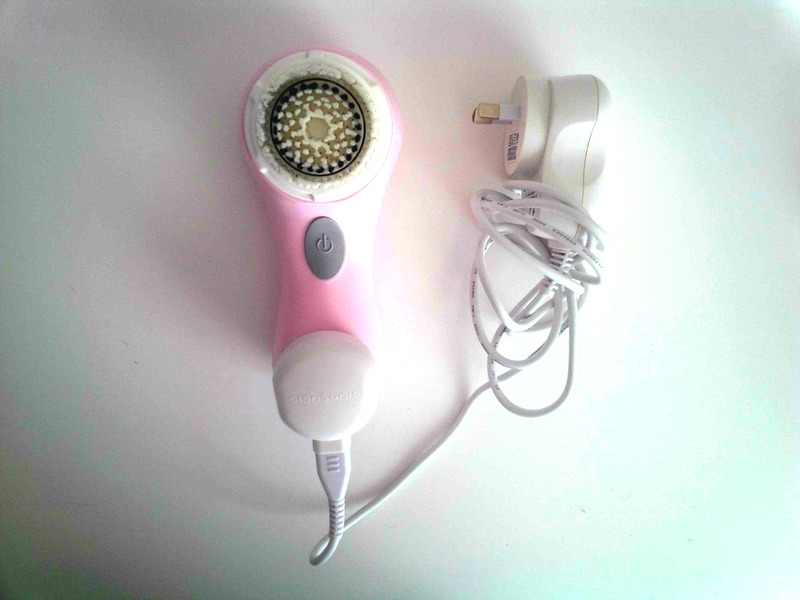 There is also the Clarisonic Plus. This is designed for face and body, has 3 different speeds, an adjustable T timer and comes with a brush head specifically designed for the body and is basically the Rolls Royce of the Clarisonic. 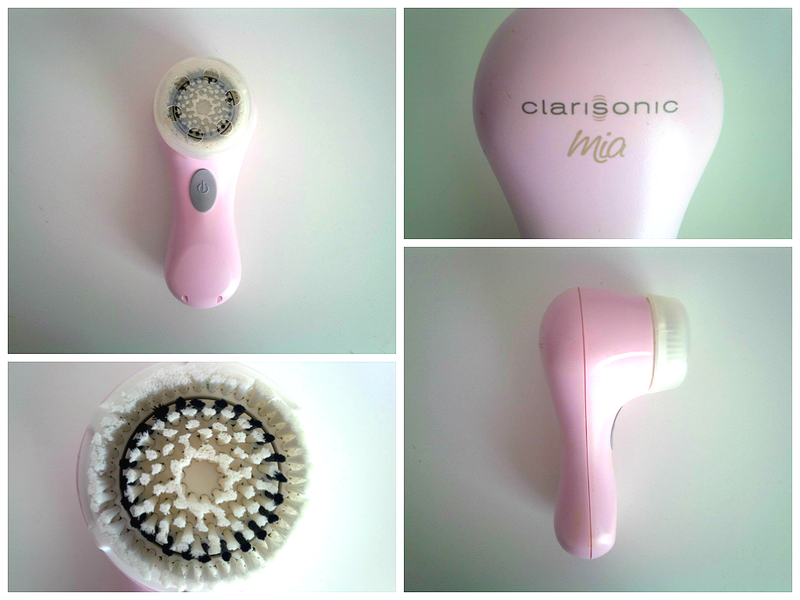 I personally own the first released version – the Clarisonic Mia. This comes with the device itself, a sensitive brush head, a charger cord and an instruction booklet. This booklet does advise that because the bristles are so soft – you can use the Mia up to two times a day. Although, I do not do this and personally wouldn’t recommend using it that often. I have really oily skin and if you over-exfoliate you can dry out your skin. If this happens, the skin can then over produce sebum (I already have more than enough) which can cause your skin to break out which is exactly what you don’t want. After thorough research on this product and watching and reading countless reviews I decided to bite the bullet and buy it (about after 12 months of thinking about it!) and I have not gone back. The reason that I held out for so long when it came to buying this product is, I will admit, the price. In my experience, the reviews that I had come across were very extreme – either people loved it or hated it and I was a bit worried about spending about $150.00 on something that I could potentially never use again. Now onto the positive aspects! I have personally found that there is no other product or method of exfoliating my face that gives my skin the total squeaky clean feeling that the Clarisonic does. It is the absolute perfect product to use when you start to get that ‘rough’ feeling on your face. It puts my usual skin routine to shame as after cleansing, as I usually do, and thinking that I have removed all of my make-up – I will use my Clarisonic and will be able to see remnants of make up in the bristles! I personally use my Clarisonic in the shower about 1 or 2 times per week – pretty much whenever my skin starts to feel a little rough and I have not had any issues with it at all. A lot of reviews that I have read have mentioned that at the start of using this product, their skin has gone through a ‘purging’ process where they have experienced bad break outs due to everything being brought to the surface. I think it is important to mention that I personally did not experience this (maybe 5 years of high school with a serious acne problem was enough for my skin!). If you are tossing up between the Clarisonic Mia and the Mia 2 – I would say that you could absolutely get away with the original Clarisonic Mia. For me personally, I thought the Australian $40 price difference was a little steep just for the extra speed and pulsating timer but it really does come down to what will work for you and if the cost is a factor in your decision. If you do want to use the Clarisonic for face and body but the Clarisonic Plus is a little out of your price range you can certainty just use the Mia with a different brush head which retail for around $29.00 in Australia and there are quite a few to choose from! Overall, this is a product that I recommend. I have found that no other product or device has cleaned my face as well as the Clarisonic or has taken make-up off my face after thoroughly cleansing and toning. I also recommend that you use it ideally no more than 2 times per week. Have you tried any of the Clarisonic devices? Is this something that has had a positive effect on your skin? Let me know your thoughts!